Monbazillac is really the great foie gras wine. Neighboring Sauternes (you know it, Château d’Yquem from Bordeaux) is usually regarded as holding this position, but Monbazillac is indeed from the same region as the French home of foie gras, the Dordogne. 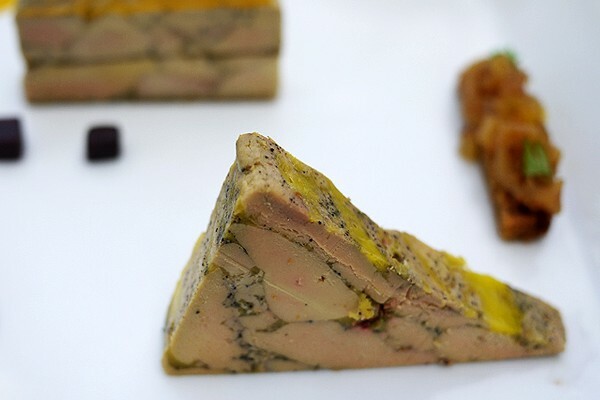 This region is well-known by foie gras lovers — producing 90% of all foie consumed in France — as well as wine lovers, as it’s Bordeaux’s thoroughly respectable wine-neighbor. This means high-quality wines from down-to-earth wine makers in a range of easy-to-palate prices. 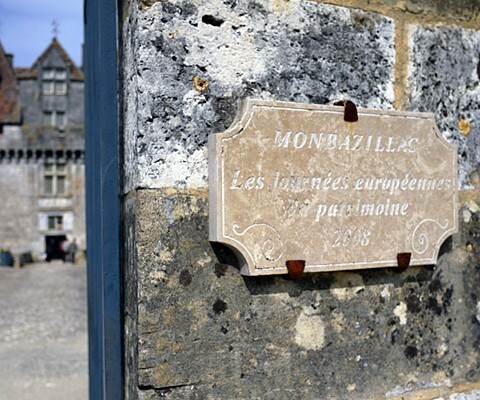 Monbazillac is the gem of Bergerac (yes, the town from which the famous writer and lover Cyrano came) and is made from mostly the same grapes (Sémillon, Sauvignon Blanc, and Muscadelle) plus noble rot as Sauternes. The major difference is that Muscadelle does particularly well in this region, making these wines somewhat lighter and full of life, as well as nuttier. This wine goes well with rich French cheeses, fresh fruit tarts, nutty desserts, and also works as an aperitif in the garden before dinner. And, of course, with foie gras. There couldn’t have been a better wine than Château Montdoyen Monbazillac on my Day of Foie (5 kinds of foie gras in one day!) in this most delicious French region; it shone sweetly, like the French spring sun, rounding out a perfect day of wine and foie.